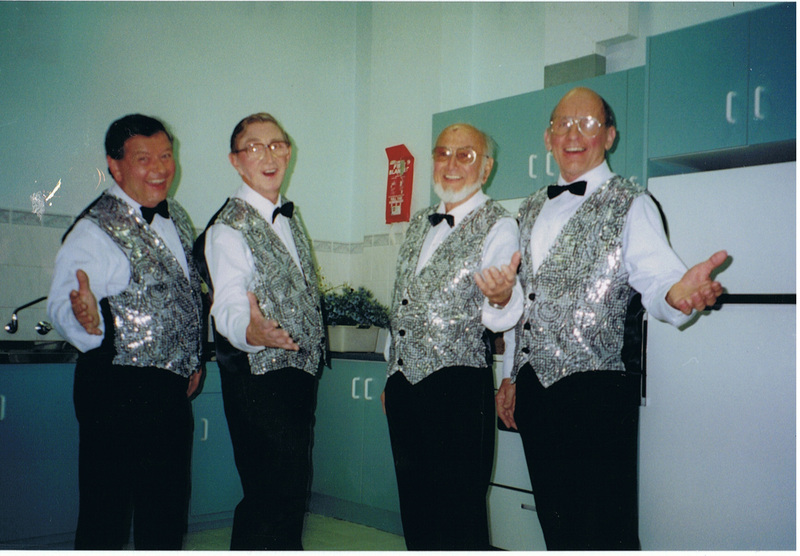 In the 1990s, some of the present Fleurieu Harmony members joined a barbershop group in Mount Compass. Unfortunately this disbanded but a quartet consisting of Alex Paul (Bass), Tony King (Baritone), Arthur Fellows (Lead) and Michael Wood (Tenor) carried on singing together as The Nostalgia Quartet . In 2000, Alex Paul advertised for more singers to form a chorus and Roly King and Patrick Cannon joined to form the Fleurieu Harmony Chorus. In 2001 they were joined by John Tibbles, Geoff Hill and David Perry . In 2002 the chorus became a member of AAMBS and with several new members joining, finally moved to its present location at Aldinga in 2005. FHC has grown over the past 12 years to about 25 members with founder member Michael Wood still going strong!